Follow the creation of four buildings that will change how we live, work and protect ourselves. Wednesdays, February 5-26 at 10 p.m. on West Virginia PBS. Urban planners around the world are building higher and faster than ever before, creating a new generation of skyscrapers that push the limits of engineering, technology and design to become greener, stronger and more luxurious. Super Skyscrapers is a four-part series that follows the creation of extraordinary buildings and showcases how they revolutionize the ways we live, work and entertain ourselves. Episodes include One World Trade Center, Building the Future, The Vertical City and The Billionaire Building. Recently judged to be the tallest building in the western hemisphere, and soon to be a modern landmark in New York City, the structure featured in One World Trade Center is engineered to be the safest, strongest skyscraper ever built. This episode follows the final year of the soon-to-open edifice’s exterior construction, culminating with the milestone of reaching 1,776 feet. 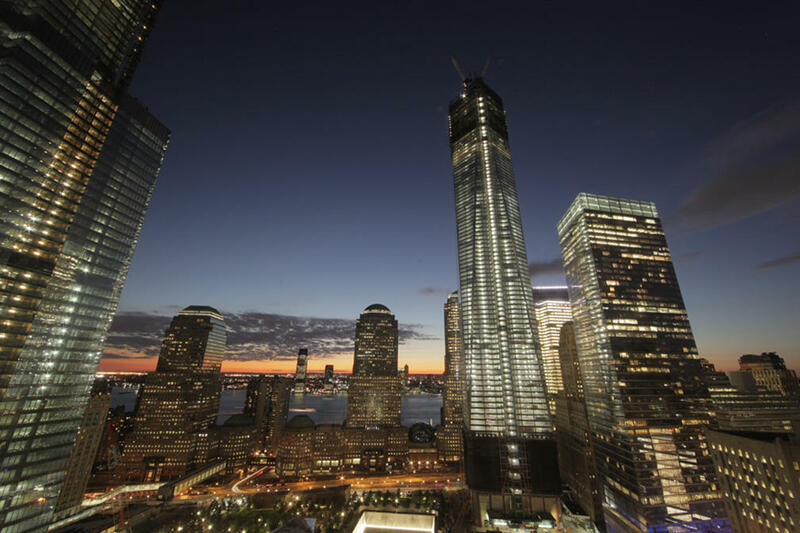 For One World Trade Center’s head of construction Steve Plate — and the scientists, engineers, ironworkers and curtain-wall installers — this job is suffused with the history of the site and a sense of duty to rebuild from the ashes of Ground Zero. When complete, China’s Shanghai Tower will be far more than a skyscraper — it will be a 120-story Vertical City, the country’s tallest and the world’s second-tallest building; a collection of businesses, services and hotels boasting a population equal to the country of Monaco in a community built on a footprint the size of a football field. This episode goes behind Shanghai Tower’s interior wall and exterior skin, a place where residents work, play and relax in a series of eight stacked public parks, each more than 120 feet. Built with highly sustainable methods and earning one of China’s best “green ratings,” the structure will dominate Shanghai’s skyline, towering over its neighbors as a testament to the city’s economic success and the ambitions of its wealthy elite. Upon completion, One57 in Manhattan, dubbed The Billionaire Building, will rise more than 1,000 feet and 75 stories, making it the tallest residential tower in the western hemisphere and boasting unprecedented views of Central Park. This episode follows the teams tasked with creating, building, designing and selling New York’s most luxurious and most expensive residential skyscraper. Condominiums at One57, described as “the most bespoke skyscraper ever built,” boast state-of-the-art interiors, including double-height ceilings, full-floor apartments, bathrooms clad in the finest Italian marble and handmade kitchens from UK craftsmen.